Recently, I’ve been getting this question everywhere. It doesn’t matter what my presentation is about, or if I’m presenting at all, someone asks me about Alkaline Hydrolysis. "The mechanical and/or thermal or other dissolution process that reduces human remains to bone fragments." CANA remains the only trade association to take this controversial position. And ever since we did, we’ve had the book thrown at us – specifically, the dictionary. Merriam-Webster defines cremate (v): to reduce to ashes by burning. “There you have it,” people exclaim, “alkaline hydrolysis doesn’t burn and thus cannot cremate. Ergo, it isn’t cremation!” But cremation is not defined in dictionaries, it is defined in legislation. For many states and provinces, cremation is not just combustion but chemical, mechanical, or thermal dissolution of remains to bone fragments. In essence, CANA is following the leadership of the state and provincial regulatory bodies and classifying alkaline hydrolysis as cremation. And since it’s cremation, it can be marketed as such. Hence, the many terms to describe the process. 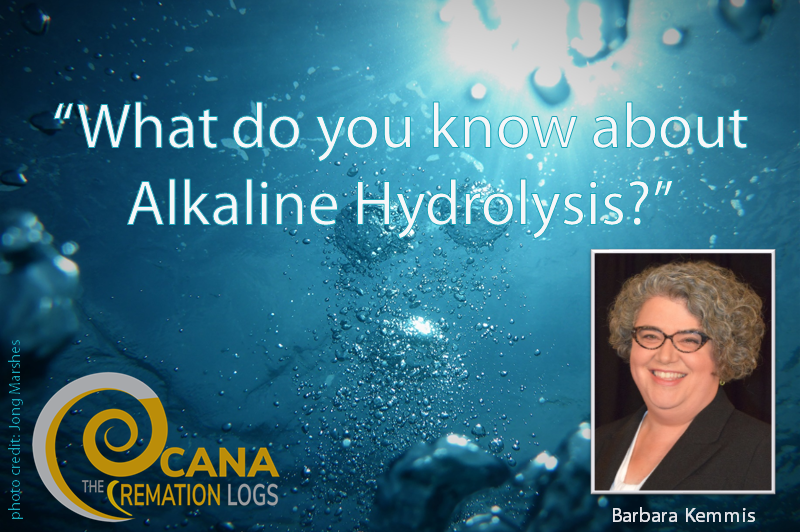 In practice, CANA prefers the term “alkaline hydrolysis” because it clearly describes what happens – an alkaline solution using water to break chemical bonds at the atomic level (aka hydrolysis). What it looks like, though, is a typical cremation: body goes in, bone fragments come out. The process of alkaline hydrolysis requires that the body be submerged in water with alkaline (base) chemicals and, through a combination of time, pressure, heat and possibly agitation, the body is reduced to bone fragments. The sterile waste water (or effluent) can flow into the water system with the remaining chemicals (salts, amino acids, peptides, etc.) which help break down waste at the water treatment plant or even fertilize crops. Our profession, on the other hand, hasn’t seen it the same way. While AH practitioners find the public doesn’t ask about the process, it seems to be all the profession can think about. And many people say it’s gross to “dissolve bodies in acid” and disrespectful to “flush grandma down the drain” and celebrate legislation being quashed in their state or province. But these fears aren’t based in fact: AH doesn’t use acids and the waste water doesn’t contain identifiable bits of grandma (especially when compared to the wastes of embalming). This has not stopped the Catholic Church from taking an official position opposing AH, nor industry leaders from dismissing it out of hand and even attempting to make it illegal. But the process has caught people’s imagination and emotional reactions have spread faster than good science and facts. Alkaline hydrolysis has been everywhere recently from letters to newspaper editors, national science magazines, and governors’ desks. When they call CANA, they are looking for answers and predictions. I explain that, while it’s gaining popularity as an alternate form of human disposition, it’s a proven technology that has been in use in universities and colleges since 1994, and was originally patented in 1888. Recently, I had a reporter ask if alkaline hydrolysis is the reason that the US cremation rate is over 50%, if it had pushed the cremation rate passed this milestone. The question is logical given the coverage AH has received in the media and also the push to legalize the disposition, but the impact of AH on cremation rate growth is negligible. Because alkaline hydrolysis is considered a form of cremation, it is counted with cremation in disposition rates and there is no way to accurately report AH alone. CANA estimates that less than one tenth of one percent of cremation uses the alkaline hydrolysis process nationally. This is roughly on par with home funerals and green burials, which have also captured the imagination of consumers and professionals alike, but is rarely practiced. This figure does not (nor should it) count the thousands of pets and animals (data not collected) or the hundreds of bodies donated to institutions like the Mayo Clinic or UCLA that have AH machines in their medical schools (reported in vital statistic data as body donation). More and more states and provinces are legalizing AH, but few of them have actual practitioners. While it takes a united front of practitioners, manufacturers, consumers, and the media to change the law, it is a different mix to make a business successful. One of the primary obstacles to new AH businesses is the business model itself. There are regulatory and financial barriers to entry, as well as the need to educate and recruit the public. Then significant capital investments and uncertainty of what consumers choosing AH will ultimately pay for the option. It took 100 years for traditional cremation to reach 5% of dispositions in the United States, but AH businesses will need to see a return on their significant investments in a much shorter timeframe to be successful. Early adopters have navigated these obstacles and are enjoying success that may be a model for others to follow. The second Alkaline Hydrolysis Summit brought practitioners, regulators, and other curious people together to discuss the practicalities of running an AH crematory. But with such low adoption of AH to date, why talk about this now? CANA specializes in bringing experts together, pooling knowledge and problem-solving with peers facing similar challenges. Our attendees were people who have been operating an alkaline hydrolysis facility for years, people who are eager to launch their own, and so many others curious about the process and how it works. And this group doesn’t represent even half of the people operating alkaline hydrolysis units every day. Together, we gained a greater understanding of the practical and technical matters of running an alkaline hydrolysis crematory. We learned that cotton is the enemy of the process, that a larger urn is actually not always necessary, a mixture of two hydroxide salts is more effective than either alone, and so much more. But, there’s a lot we still need to learn and to share with our colleagues and the public to combat the misinformation out there. Alkaline hydrolysis has been in use for over twenty years in body donation programs and pet crematories. The science of the process is well documented. It has a significantly different environmental impact. Current practitioners have much to share regarding best practices and successful business implementation. CANA is excited to be involved in curating all this information for use by future practitioners. The outstanding questions can only be answered by time. For instance, cremation started in cemeteries who built crematories as a side project – who will be the early adopters and evangelists for AH? At the moment, practitioners are installing units in response to market interest, regulations prohibiting flame crematories, and curiosity. Which leads to another question – what kind of training will regulators require of AH owners and operators? 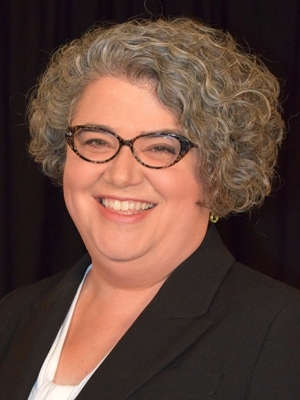 States and provinces vary on crematory requirements, certification standards, and even funeral director licensing, so it stands to reason that variance will continue when AH is in the mix.